If you are fed up with the traditional approach of advertising and looking for something better, admitad is for you. 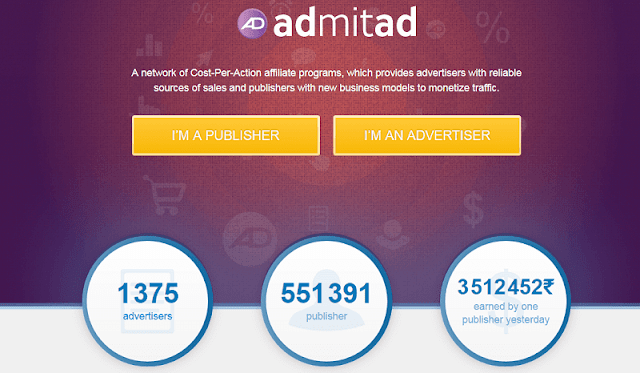 admitad is a cost-per-action affiliate network serving over 450K publishers and 1K advertisers globally. The advertising industry has changed a lot with the time from traditional advertising to the native advertisement. These days, the consumer wants to get exactly what they are looking rather forceful and annoying ads. So, advertisers too shifted their marketing techniques to more native and interest targeting that can drive results in terms of lead, sales, or any other similar action. So, CPA marketing seems a great option as advertisers have to pay only for the successful actions and publishers can make money only for the driven results. In this admitad Review, I will be sharing about all the features of the network, how you can join admitad and much other stuff. Let’s start with admitad Review! admitad is a leading CPA affiliate network of the industry connecting around half million publishers to the thousands of advertisers. Started its operation in 2010 with a team of 10 people, admitad has grown to a team over 230+ across the globe in the countries like Russia, Ukraine, Belarus, Turkey, India, Switzerland, and Germany. Currently, admitad has over 1379 advertisers, 551959 publishers with a total of around 500K visitors per day. Nowadays, CPA marketing is getting popular among the publisher due to the fact that it has a good conversion. And you don’t have to sell always, multiple CPA campaigns just ask you to provide the lead which is a way easier than the sale. admitad provides equal opportunity for both advertisers and publishers to get maximum ROI on their money, traffic, and work. admitad provides multiple features to their advertisers which we will discuss later in this post. If you are an advertiser who is looking to promote their product and service and want to pay for the action, then you can join the talented team of admitad. You can grow your business-like thousands other business owners are doing. You will have to pay only after the valid sign ups and sales, depending on the nature you choose. You’ll be able to set your own fee and kind of conversion you are looking for. The above is the three steps process involved in this. If you are looking ahead and want to try admitad, you will have to sign up. Just fill the above form and submit. You will receive the response from the admitad team for the further process and campaign setup. Once you have sent the request, their moderator will review your application and will help you choose the best rates and traffic patterns, and will also acquaint you with a diverse set of tools for promoting your affiliate program. Apart from all these, you will be able to filter the traffic source, moderate the publishers who should join and promote your campaigns etc. Overall you will be in full control of the account and the campaigns you’ll run. Companies like Jabong, Agoda, Booking.com, etc. are using admitad to promote their campaigns. As I mentioned above, over half a million publishers have joined the network and earning some handsome commission from admitad. They promote the campaigns created by the thousands of premium advertisers and earn commission on those. There are many such features which we will discuss later. 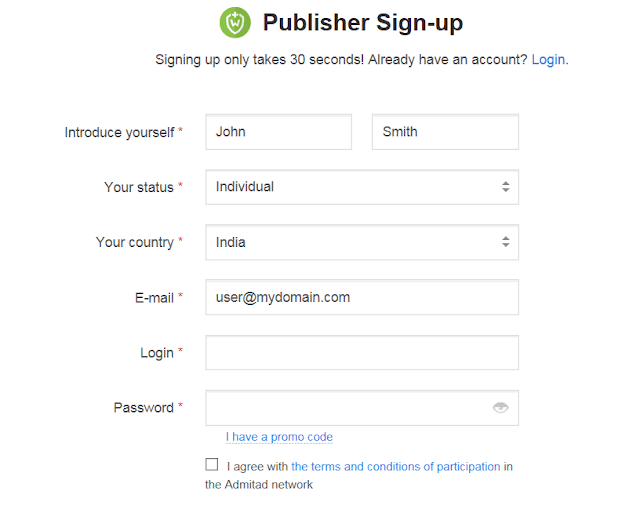 To get started with admitad publisher network, you need to sign up for the network. 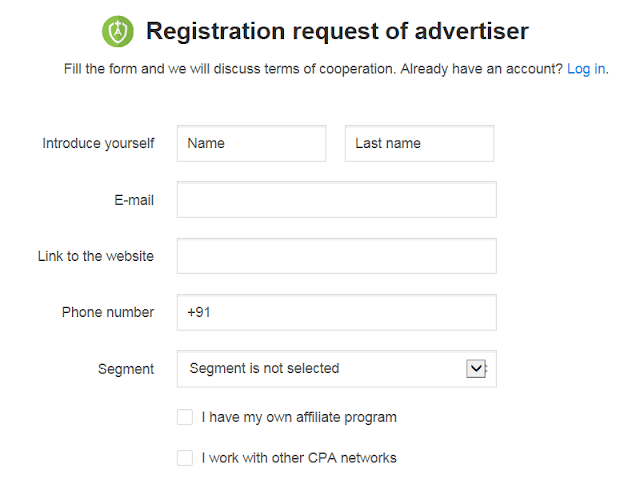 This again involves three steps, first you’ll sign up, next you will have to create the ad unit and add on your website and in the last step, complete the sign-up. Once you’re signed up, you will have access to the marketplace where you can find numbers of active campaigns. Using the filtration criteria, you can find the high-paying campaigns. 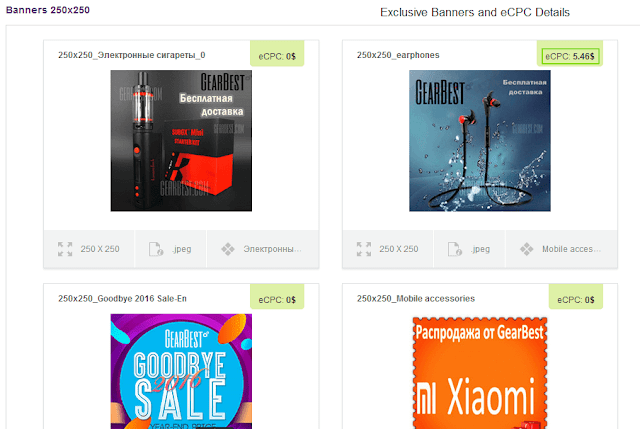 From your affiliate dashboard, you can find many promotion materials like the banners, codes etc. which will help you start the campaigns quickly. admitad also offers a number of tools to their publishers for better revenue. admitad has attractive payment options. The first is the minimum threshold. When other affiliate networks have a minimum threshold of hundreds of dollars, admitad has just kept $10 as a minimum threshold which is recommendable. Also, they have weekly payment system and you will be paid on weekly basis through all the major payment methods like PayPal, e-payments, and Wire Transfer. All the affiliates or whosoever will join the network will be eligible to participate in the Aliexpress hot summer rally where the total prize is $30k which is divided in 3-stages and the largest prize if of $5k. Depending on the amount of money earned in admitad, they divide all publishers into classes, so that each participant had the opportunity to win. The campaign was started on June 15th and will end on September 15th and so you still have enough chance to try and win. This is all about the admitad review! Hope you got a fair idea about this CPA affiliate network. If you are an advertiser who is looking for quality leads and sales, you can try admitad Whereas if you want to monetize your traffic and earn more from the traditional advertising, you can join as well. If you already worked with admitad, do share your feedback with us.